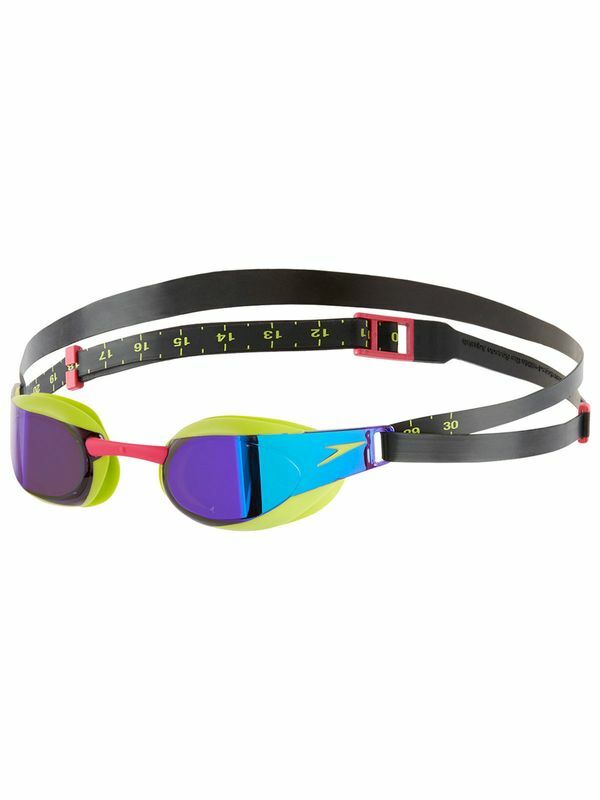 The Speedo Fastskin Elite Mirror Lime & Violet Goggles are a highly technical and innovative racing goggle. The Fastskin Elite Goggles have been designed for maximum comfort and proviode a hydrodynamic profile with wide peripheral vision. This Elite Goggle is a key weapon in the armoury of the serious swimmer. Fastskin Elite Mirror Green & Purple Goggles manufactured by Speedo Swimwear the worlds leading swimwear brand. Speedo is passionate about life in and around the water, creating revolutionary new technologies, designs and innovations.